Hi, folks. We need your help. Drupal has been giving us issues for a few weeks now, and I can't figure out how to solve it. I know there are some good folks here with this kind of stuff, so I thought I'd just bring this up in my blog and see if anyone is willing to help. In a nutshell, we can't run cron. When we try, we get "cron job failed." Persisting sometimes leads to an internal server error. Drupal's log reports "Cron has been running for more than an hour and is most likely stuck" or that it's already running. I've done a lot of research on this and tried the stuff I found on various forums and websites, such as clearing the caches, deleting semaphore variables, and empty out cache tables manually in the database. Nothing has worked. If anybody has thoughts or expertise with stuff like this, please speak up. None of us are professionals at this and we need help to keep it running. 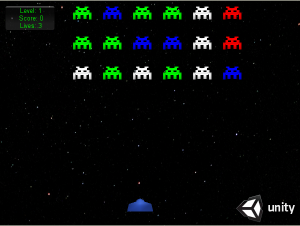 Well, I'm sad and sorry to report that my little Unity project has come to a grinding halt. It's agonizing, but even though I was making huge leaps towards realizing my game design, I've finally hit that wall that I just can't get over by myself. I've been working for two days trying to overcome it, but I sadly just simply lack the skill and the knowledge. I've ended up with a show-stopper glitch that I just don't understand, and the behavior just seems entirely random...It's either get help with this or give it up. Here's the deal. 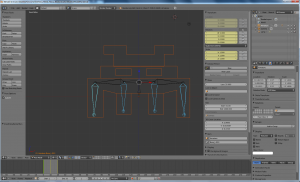 Although the system works great at first...Occasionally a block will suddenly switch into "orphan" mode. I've stared at my code until I just can't stare at it anymore. I've combed through it, commenting out each component to try to find the culprit...Just can't do it. I've tried, and tried, and tried to no avail. I can't find a pattern in it; it just...does it sometimes. It just seems entirely random! I can't find any logical reason why it doesn't work, so that leaves me to think it's either a glitch in Unity itself (unlikely) or just really bad optimization on my part. I suspect the issue is unnecessary collision checks and bad update routines--that is, out of ignorance, I'm asking the computer to run so many checks that it's overtaxing the system, resulting in missed collisions. To combat that, I've tried to reduce the updates, but nothing has worked. Brian Fargo Doing Wasteland 2 with Crowdsource Funding! Wasteland II!This just in from Brian Fargo: "I thought you all might be interested to know we are seriously looking at bringing a new Wasteland back with crowdsource funding. If we get enough support it could finally happen. Nothing would make me happier." This of course, follows in the wake of Doube Fine's success raising money to produce a new game in the style of the classic click-and-point adventures (Secret of Monkey Island, Day of the Tentacle, etc.") Well, thanks to good ol' Brian Fargo, the many fans of Wasteland might get to experience the same thrills! Imagine it: A core group of CRPG experts making a CRPG the way THEY want to make it, with no clumsy, stupid interference from PUBLISHERS and their armies of clipboard-wielding nincompoops. 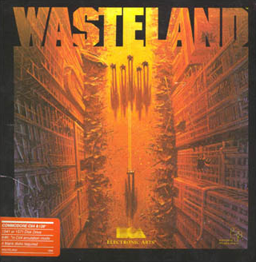 For you young pups, Wasteland is a 1988 classic that inspired the Fallout series. Fargo was part of the original team. I've always thought of it as a post-apocalyptic Bard's Tale. It's widely celebrated for its amazing atmosphere and fun gameplay, and of course the box and manual are true collector's items (not the made-to-be-collectible junk we get in "special editions"). As soon as I learn more, I'll pass the news along.